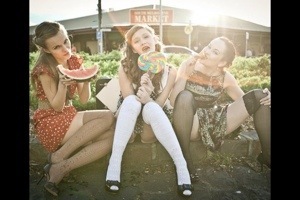 Time for a lolly at the South Melbourne Market. This entry was posted in Modelling and tagged jessica nicole griffiths, market, model, Photography, south Melbourne market. All that really matters in this world is love. I don’t necessarily mean romantic love, or love for your family and friends. Just love. Too many of us try to define love and categorise it in to a specific relationship or even an object. But love is bigger than that. Love is what connects us all. If you think of any great experience you’ve ever had it’s been because of love. Maybe not at first glance but if you delve deeper you’ll see that it’s just love. Only love. Love is what drives creativity, it’s what passion is made of, it’s what makes things seem beautiful, it’s what makes us feel compassion, it’s what makes us want to travel and explore, it’s what makes giving so wonderful, it’s what makes us want to be kind, to make others laugh, and makes us crave connection to one another because it just feels so beautiful. … I love the new relationships I’ve been forming. Getting to know new wonderful and inspiring people from all walks of life and expanding my experience, growing my mind and sharing wisdom and wander…. This entry was posted in Self Development, Spirituality and tagged Bliss, Blissology, dream, Health & Beauty, Intimate relationship, Love, Online Writing, relationship, Relationships, Religion and Spirituality, Religious experience, Romance, self development. Koukei Tom- I’m on a tee! I’m on a t-shirt! how exciting! check it out. This entry was posted in Modelling and tagged angel, jessica, jessica griffiths, koukeitom, model, People, Photography, vampire, Vampires. Every day we ingest herbicides and pesticides in our bodies just from “fresh foods” unless you’re buying all organic food this will always be the case until something changes dramatically with our farming practices. What we can do is wash our fresh fruit and vegetables in a mixture of water and raw apple cider vinegar. This removes 99% of the chemicals from the outside of the food. All you need to do is fill up a bowl, or your sink with water and add just a few table spoons of the vinegar to the water. Wash your vegetables and you’re done! A great way to test this is with apples you buy from the supermarket. They are usually waxed to make them shiny. Washing them in this way will help to remove the wax from the apple so you can see firsthand what apple cider vinegar can do! You can buy apple cider vinegar from the supermarket or a health food shop. My favourite is Paul Bragg’s raw apple cider vinegar. If you have any questions please email me at yorhealth_jessica@hotmail.com. I’m also open to suggestions on topics you’d like to hear more about. This entry was posted in Health & Beauty and tagged apple cider vinegar, body, diet, enzymes, food, Health & Beauty, Herbicides, Pesticides, raw, wellness.